Armed with an arsenal of T-Rex tone, all you need now is the perfect board to make sure your pedals are just where you need them night after night. The ToneTrunk does just that - and more. 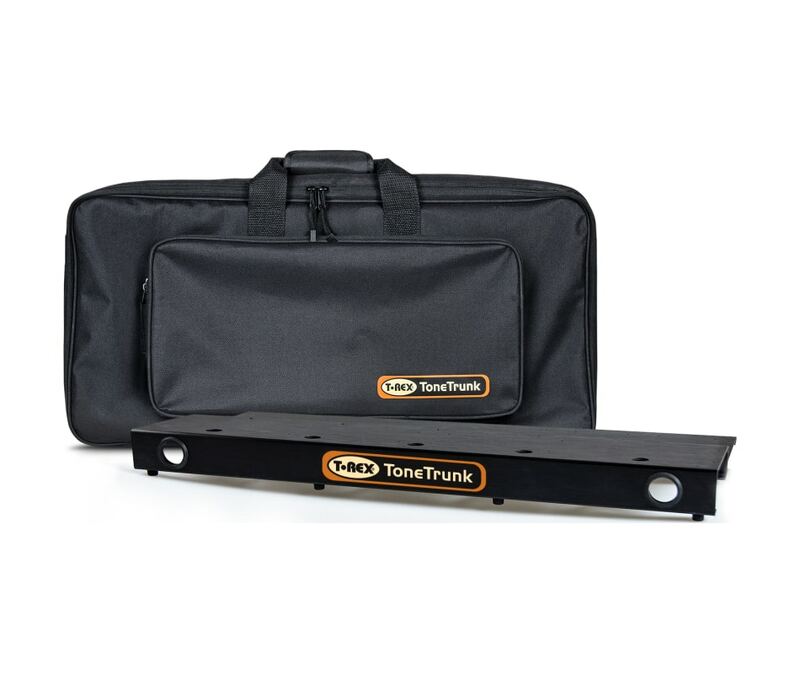 Its a perfectly designed pedal board that holds your pedals and comes with a padded GigBag, ensuring that your pedals are in place when you're on stage - and safely stored away when you're not. The pedals attach to the board with included Velcro strips, and there's lot's of room for a power supply. A shoulder strap also comes with every GigBag.